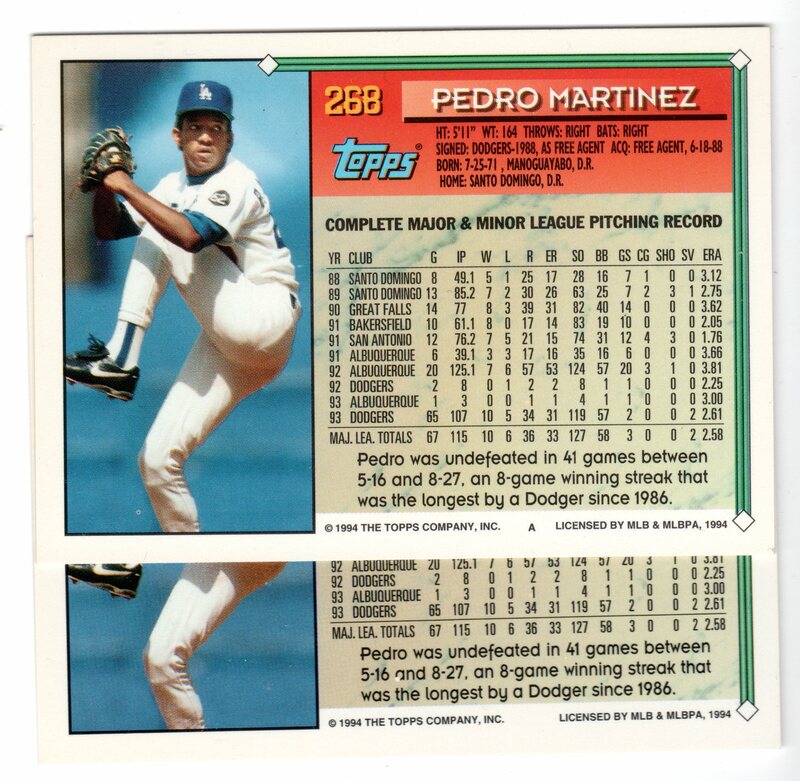 With the exception of a few variations here and there, 1994 Topps is the last set to fix a handful of it’s mistakes. 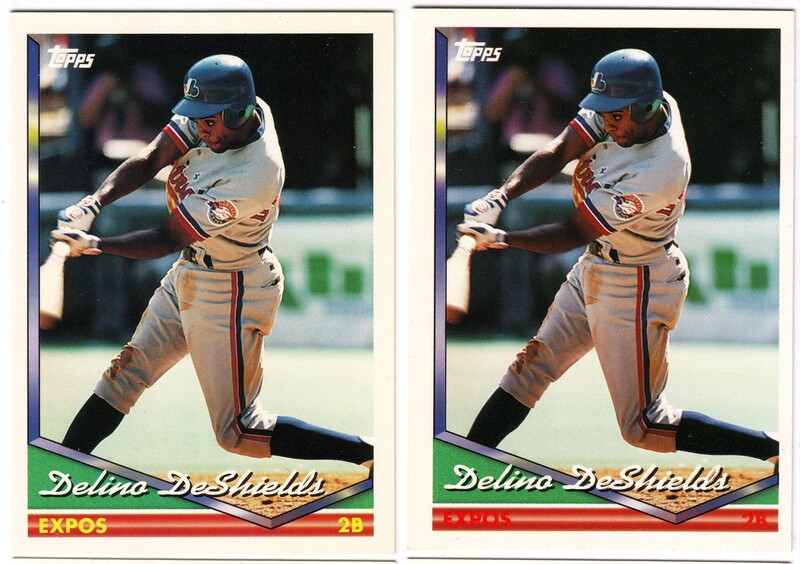 The most prominant one being #102 Delino DeShields. He can be found with his name and position in either red or yellow on front. A nice reminder of the 1969 Topps name variations.